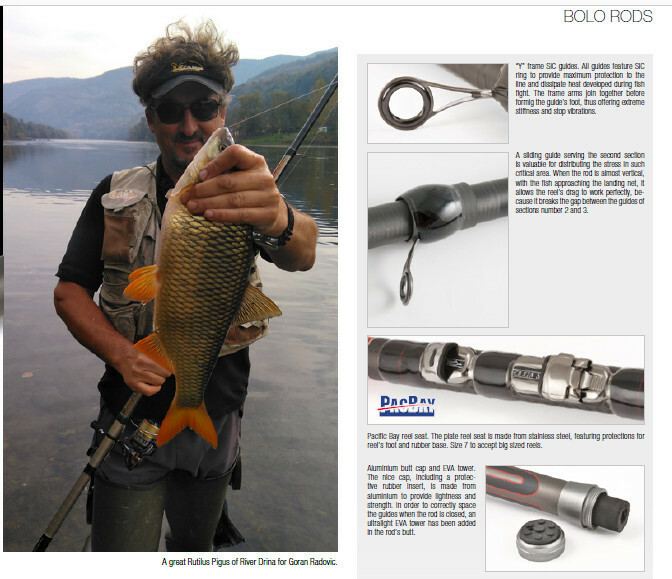 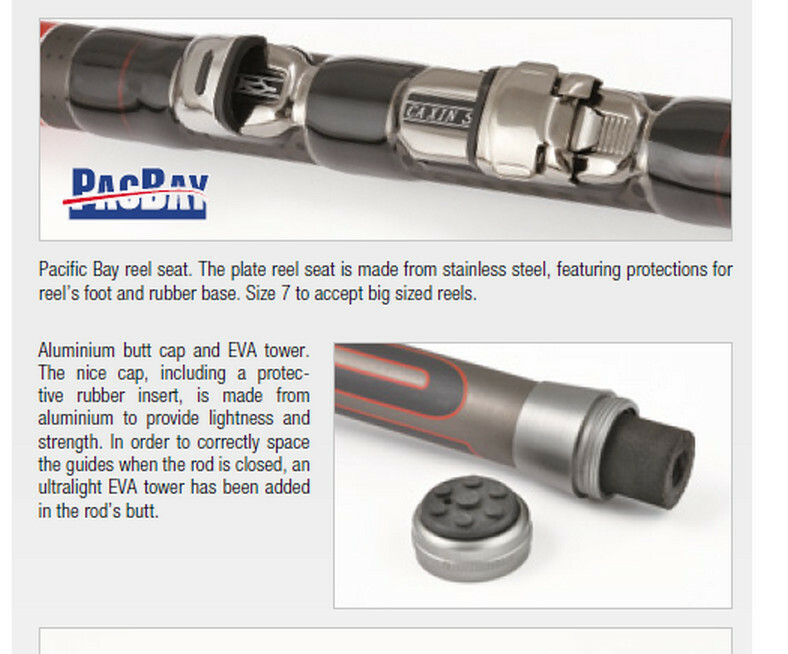 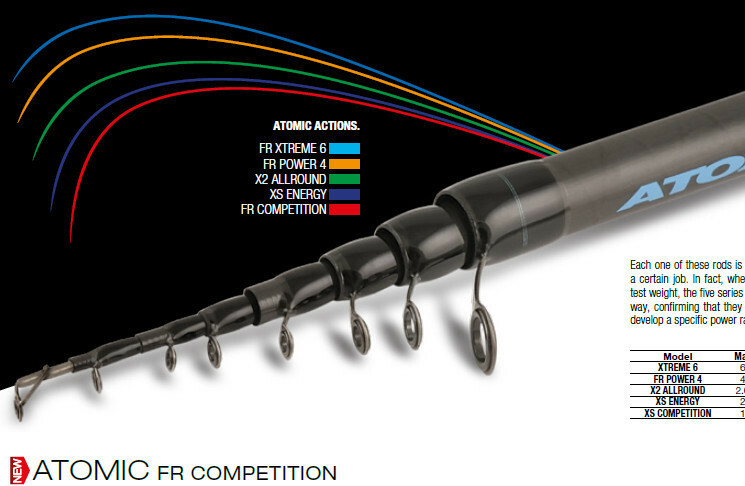 In Italy, as well as in the rest of Europe, Atomic has become synonymous of tremendous power and strength, thanks to outstanding rod performances, not thanks to advertising! 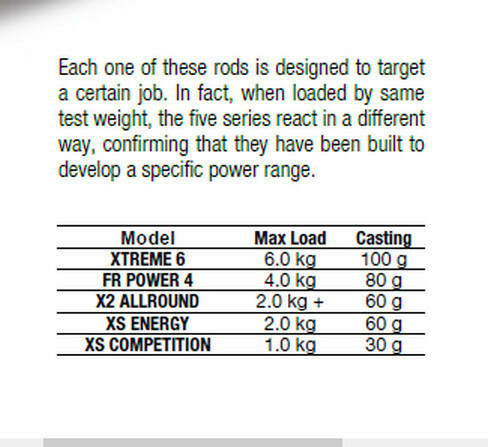 Within the new range, this Competition series is the access door to the Atomic world, a sort of link to the most powerful ones, which are identified by growing numbers like 2, 4 and 6. 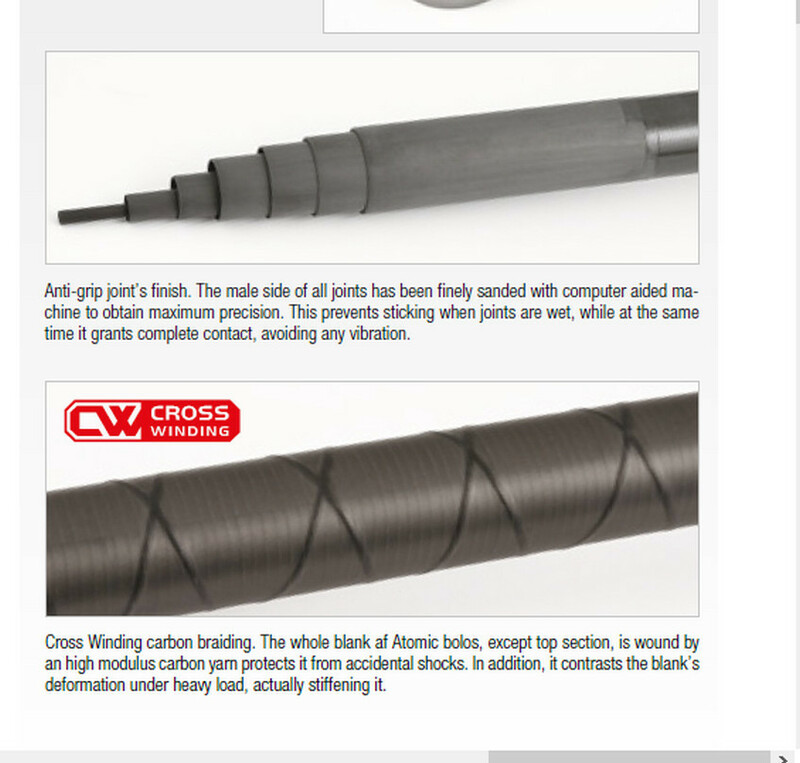 Its structure is fast tapered, with a compact closed length and a reasonably fine top area, which allow a certain casting precision and tolerate the use of relatively fine hooklinks (not less than 0,14 mm). 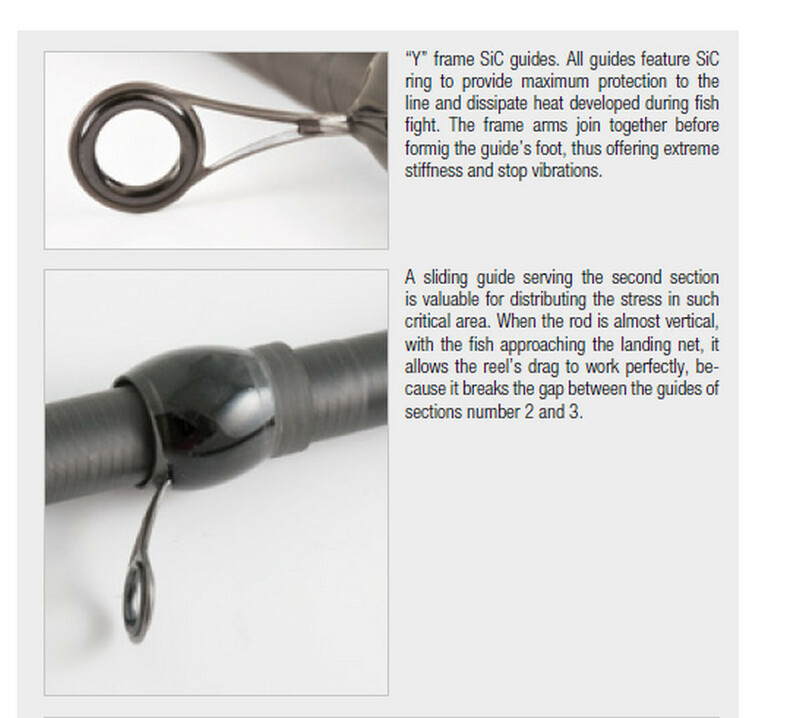 The medium leg SiC guides have a vibration-free “Y” shape frame, while the plate reel seat is wide enough to accept big size reels (size 7).